Let’s throw it back 20 years. 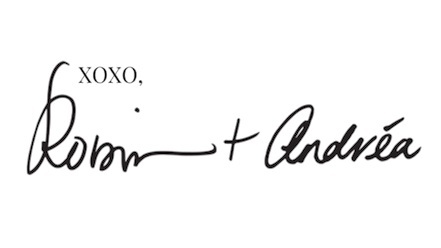 In 1999, Andréa and I met for the first time. No longer were we separated by the 7,000 miles between California and New Zealand. In 2005, Andréa and I began importing wine from New Zealand and then we moved our focus on different aspects in the wine industry. It was a long journey, and it wasn’t until 2016 when we started McBride Sisters Wines, proving that blood (and wine) is thicker than water. Monterey, California has always been my home and is a source of my love of wine. As you probably know, California makes about 90% of all American wine. The state’s ideal growing conditions are determined by its size and diversity of soils and climates. Over 110 varieties of wine grapes are grown in California, including the flavorful fruit used to make our 2016 McBride Sisters Collection Red Blend. This 2016 Red Blend is a mix of Merlot, Zinfandel, Malbec and Petite Sirah from vineyards in Paso Robles and Monterey County. A Californian spring is the best spring. The sun is out and so are the lupines and poppies. It’s also the beginning of the backyard BBQ-ing season. Open a bottle of our 2016 McBride Sisters Collection Red Blend, the perfect wine that has a peppery and herbal finish to pair with a juicy steak. Try Chef Mimi’s Wontons Stuffed with Flank Steak, Mushrooms and Goat Cheese Garnished with Red Bell Peppers recipe paired with our McBride Sisters Collection 2016 Red Blend. The earthy flavor of the mushrooms, tender steak, and creamy goat cheese compliment the velvety, richness of the Red Blend. Why limit this dish to the appetizer portion of the evening? Honestly, it could be a full meal! Visit our Wine Shop to purchase a bottle of McBride Sisters Collection 2016 Red Blend. Spray a mini muffin pan with olive oil spray. Place the small wonton wrappers in the muffin pan cups. Line the cups against the wall of the muffin cups with your fingers. Spray oil on wontons. Place in an oven preheated to 350 degrees for 10-12 minutes, or until golden brown and cups are formed. Let cool for 5 or more minutes then remove the cups. Mix the goat cheese with mushrooms, garlic salt, and pepper to taste, then place in the refrigerator until the steak is done. Sear flank steak to your liking (preferably medium) and season with salt to taste. Thinly slice the flank steak and set aside. Fill the cups with the goat cheese mixture, then top with flank steak. Garnish with red bell peppers. We work best in pairs. SHE CAN: Embrace the can, empower her path! You’ve seen our Instagram teasers and read our Wine Down Wednesday newsletter, but in case you missed it, we’re excited to welcome our newest Sisters, SHE CAN Wines, into the family! 2018 SHE CAN Sauvignon Blanc by The McBride Sisters comes from Marlborough, New Zealand. This Sauvignon Blanc is perfect if you’re in the mood for a crisp, tropical bevvy. You’ll notice a careful balance of passion fruit, fresh kiwi, and white fig. Juicy citrus notes tie the flavors together and linger on the tongue. Our 2018 SHE CAN Rosé by the McBride Sisters is a blend of Pinot Noir (45%), Merlot (32%), and Zinfandel (23%) from the Central Coast of California. We’ve created a dry wine with the refreshing flavors of white raspberry, orange and mandarin zests compliment the chalky earth notes. This Rosé has us feeling ever so sophisticated. Try our cans on their own or mix it up with wine cocktails. See our recipe below! We’ve created “The McBride Sisters SHE CAN Professional Development Fund” to promote the advancement of women in the wine industry. Our fund will provide scholarships to women across the industry whose career goals can be advanced by professional development programs in any sector of our industry. Why? Because the wine industry is no longer a boy’s club, but it’s still not a level playing field. Women make up less than 10% of head winemakers and winery owners, even though there are more women with enology degrees than men. Let’s close this gap because we know #SHECAN! We will begin accepting applications for scholarships on April 1st, 2019! Yes, SHE CAN! Picnic weather is finally here and we’re SO relieved. There couldn’t be a better way to celebrate spring than to sit on a sun-warmed blanket with wine-in-hand. Icy cocktails pair perfectly with warm weather. Want to change up your sangria game? Give our fresh SHE CAN Rosé Sangria a try! Serve over ice and start sippin’! Brownie points if you create ice cubes from our SHE CAN Rosé! Introducing Black Girl Magic Red Blend! In honor of Black History Month (and all the #BlackGirlMagic that has been going on in Hollywood), we’re so excited to announce the release of McBride Sisters Black Girl Magic Red Blend (find it online here). The Red Blend joins her Sister Black Girl Magic Riesling, the first in the collection, which we launched at Essence Festival in New Orleans in July 2018. 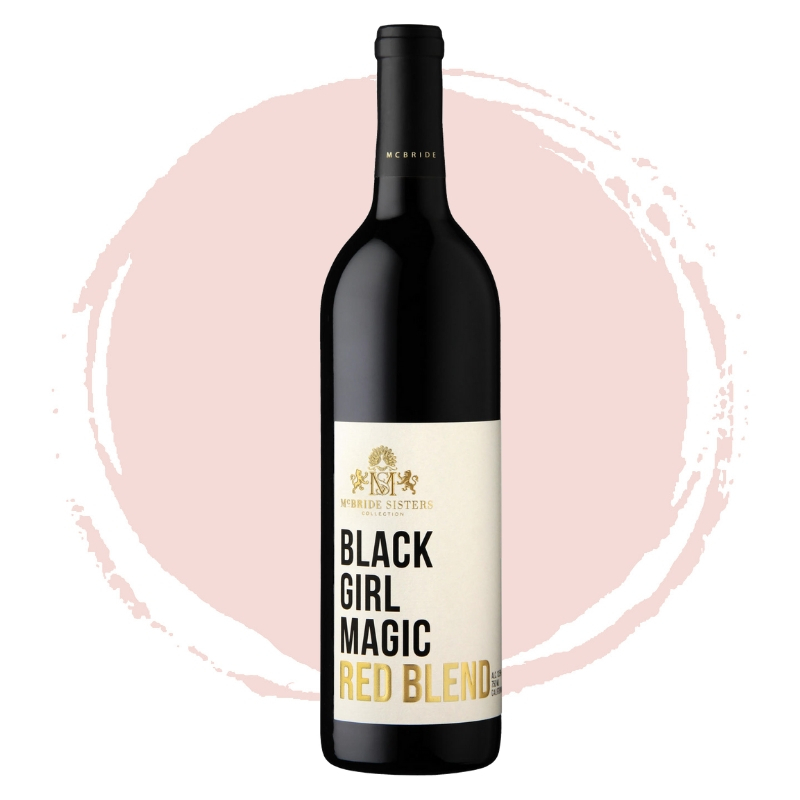 Black Girl Magic Red Blend, from the Central Coast of California, is comprised of Merlot from Monterey (67%) and Cabernet Sauvignon from Paso Robles (33%). The blend is fermented and matured in oak barrels for 18 months, which adds richness to this gorgeous garnet-colored blend with notes of tobacco and warm vanilla bean, complemented by notes of plum, raspberry, and blackberry. The rich Cabernet and luscious chocolate-cherry of Merlot makes this a wine you can’t help but adore! Our Black Girl Magic Collection was inspired by the movement, #BlackGirlMagic, popularized by CaShawn Thompson in 2013 which was created to "celebrate the beauty, power and resilience of black women," this movement is also intended to commemorate black women on their accomplishments. Thompson refers to a speech made by Michelle Obama (Remarks by the First Lady at BET's "Black Girls Rock!" Event) when she explains that black women around the world persevering, despite adversity, motivated her to spread the concept of Black Girl Magic. In the hopes of counteracting the negativity society places on black women, Thompson created the social media hashtag and rallying cry "Black Girl Magic.” She is GOALS -- can we get an amen?! Even though we are at the close of Black History Month, we know we continue to celebrate Black History anytime with Black Girl Magic Red Blend. Here are some ways to create your perfect wine experience! Loosen your mixologist fingers and make a Black Girl Magic Red Blend cocktail. If you’re in the mood for a sweeter, citrusy tang, try the Queen Charlotte Punch. The Kitty Highball has a sharp snap of ginger that is cooled by the full flavors of the Black Girl Magic Red Blend. Of course, you can keep it simple and elegant with a glass (or 2, we’re not judging) of Black Girl Magic Red Blend. Make sure to give your wine room to breathe by filling your glass no more than halfway. Hit play on our Black History Month Playlist so you can eat, drink, and dance the night away with your squad! Who run this muthaaaa (cue Beyoncé scream)! As a proud black-owned business, we’d be remiss not to mention the 2019 Oscars, since it was a historic night for people, especially women, of color. We’re particularly proud of Ruth Carter, who won for costume design for Black Panther. She is the first African-American woman to win in that category. Her award was made even more powerful by her acceptance speech in which she said, “Thank you for honoring African royalty and the empowered way women can look and lead on screen.” We’re lifting a glass of our Black Girl Magic Red Blend in your honor, Ruth! Last but certainly not least, after 34 years as an actress, we saw some major #BlackGirlMagic vibes shine through when Regina King won her first Oscar for Best Supporting Actress for If Beale Street Could Talk! SUCH a queen, if there ever was one. Arrange fillo cups on a platter as desired. Place in the refrigerator while preparing the cream cheese. Combine cream cheese, chives, lemon juice, salt, pepper and cream cheese in a large bowl. Beat until well mixed. Fill shells with 2 teaspoons of cream cheese mixture and top with a bite-sized piece of smoked salmon. Garnish with capers and red onion. Serve at once, or keep in the refrigerator until needed. Cut eggs in half and remove the yolk gently, placing yolks in a small bowl; repeat for all eggs. In the small bowl with the yolks, add all ingredients except for the red pepper and turkey, smash and mix well. Fill a piping bag (or use a ziplock bag) with yolk mixture and pipe into eggs on the serving plate. Repeat for all eggs; you may have some yolk mixture leftover. Sprinkle each egg with red pepper and top with rolled sliced turkey, placing garnish on top, as seen in the picture. Use your index finger to loosen the skin on the top of the hen and slip lemon pepper butter under the skin on top of each breast. Repeat for each hen. Put a quarter of a lemon in the cavity of each hen. Truss the hens by tying the wings and legs. Rub each hen all over with remaining lemon pepper butter. Sprinkle extra salt and pepper on skin, then drizzle with olive oil. Place the hens on the rack of a roasting pan lined with aluminum foil, spacing them out so they are as far apart from each other as possible. This will enable their skins to get browned and crispy. Place the hens in the preheated oven and roast for 25 minutes. While the hens are roasting, combine the chicken broth and wine in a bowl. After the hens have been roasting for 25 minutes, reduce the oven temperature to 350°F. Pour the broth/wine mixture over the hens and continue to roast for 30 minutes, basting the hens with the juices at the bottom of the pan every 10 minutes or less. The hens are done when internal temperature reaches 165°F and the juices run clear. If you prefer darker skins, turn up the temperature once cooked to broil for a couple minutes, watching closely to prevent burning. Carefully remove the hens and pour the juices from their cavities into the roasting pan. Transfer the hens to a warmed platter, remove the trussing and tent with aluminum foil to week warm. Pour the juices from the roasting pan into a saucepan and boil for about 5 minutes until the liquid is a thin sauce-like consistency. Serve the hens whole per guest or cut in half lengthwise. Drizzle the sauce over the hens and serve immediately. 2. Boil sweet potato in whole skin for 40-50 or until done or bake in the oven. Run cold water over the sweet potato, and remove the skin. 3. Break apart sweet potato in a bowl. Add butter, sugars, cream, eggs, nutmeg, cinnamon, and vanilla. Beat on medium speed until smooth (be careful not to over mix). Pour filling into unbaked pie crust. 4. Bake for 55-60 minutes, or until knife inserted in center comes out clean. Pie will puff up like a soufflé, and then will sink down as it cools. 5. Let rest for 20-30 minutes and serve. 1. Preheat a Le Creuset Grill Pan over medium heat; brush lightly with canola oil. Pat the short ribs dry and season with 1/2 teaspoon of salt and 1/2 teaspoon of pepper. Grill short Ribs in batches on all sides until grill marks appear, remove from grill and repeat with remaining short ribs. 3. Heat olive oil in the Le Creuset Braiser over medium heat; add the onion, carrot, and celery to skillet. Sauté until they achieve color. Stir in garlic and jalapeño, cooking for one minute, and then add tomato paste and ketchup. Cook and stir until the pasts starts to darken, scraping the bottom of the braised to prevent burning. Stir in Paprika and Cumin, thyme, salt, and pepper. Continue to cook and stir to toast spices. Deglaze with McBride Sisters Red Blend wine and scrape any brown bits off the bottom of the pan; allow wine to reduce by half. Add dried chilies and beef stock and heat mixture to a rolling simmer; add chocolate and stir to melt. 4. Place short ribs into braiser, cover with lid and place in oven for 30 hours. The ribs should be very tender and almost fall off the bone. Carefully remove ribs to a serving platter and keep warm. Remove whole Chile pieces from sauce and skim fat from the surface. Stir in 2 tbsp. apple cider vinegar. If the sauce is too thin, mix 1/2 tbsp. flour 1tbsp. water together to form a slurry and whisk into sauce. Bring sauce to a boil and serve over ribs. 2. Cranberry Sauce: Bring sugar, water, orange zest, rosemary and salt to a boil in a large frying pan over high heat. Stir frequently until sugar dissolves. 3. Add cranberries to pan and return to boil. Reduce heat to low and simmer until thick sauce forms and most of the berries have popped open (about 7-10 minutes). You want the jam to be thick to ensure it doesn’t slide off crostini. 5. Drizzle pre-sliced French bread with olive oil and place single layer on a baking sheet for 5-7 minutes. The crisp and fruity flavors of McBride Sisters Brut Rosé Strawberry Granita shine bright in this light, packed full of flavor, snowy frozen dessert! In a small saucepan, bring 1 1/2 cups water, strawberries and the sugar to a boil. Pour mixture into blender and puree for 30 seconds to a minute and place in a 9- by 13-in. freezer-proof baking dish, stir in McBride Sisters Brut Rosé and lime juice, cover with plastic wrap, and freeze for 2 hours. Stir mixture, breaking up any chunks, re-cover, and freeze at least 3 hours and up to 2 days. When ready to serve, scrape mixture with a fork (using the back of the fork to smooth any chunks) to create soft mounds of icy "snow." Serve immediately with fresh fruit or with extra Rosé. Cheers!